We will receive you at JAMMU station or airport and take you to KATRA night stay at KATRA. Those who want to have Darshan of Mata Vaishno Devi should start by 2000 hrs. KATRA. This day will be fully for rest and marketing ,night stay at KATRA. Enjoy horse ride (at own Cost) and visit Chandan vadi, Aru Vadi, Betaab vadi by local car (at own Cost). Pine forests dot this meadow which presents a picturesque view of the snow-clad mountains. After lunch we will start for Srinagar. 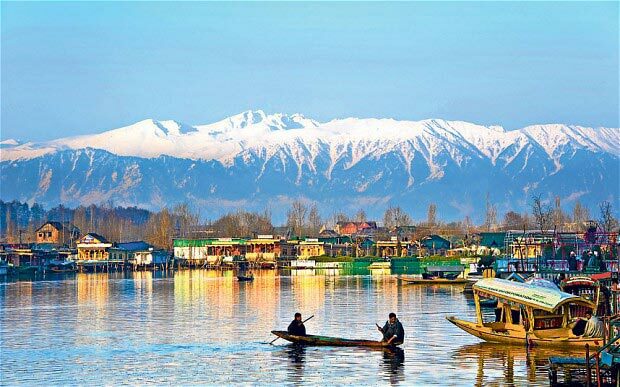 On arrival at Srinagar you will be transferred to hotel. Full day excursion to Sonmarg which is the most beautiful drive from Srinagar to Sonmarg (2690 M). One can ride on horse (at own cost) to visit Thajiwas Glacier where snow remains round the year and Sonmarg is known as Gateway of Ladakh. You can also proceed to Zero point (at own cost) to enjoy the nature. In the evening return to hotel. Full day tour of Gulmarg. 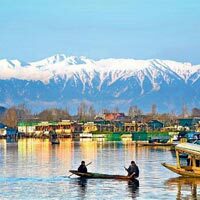 Gulmarg means "the meadow of flowers' and truly the state is blessed by mother nature which is one of the most beautiful summer resorts in the valley. It is popular for its Golf course (in summer) the highest in the world and skiing during the winter season. View of Nanga Parbat (6800 M) if weather permits. One can have Gondola Ride (at own cost) “The Highest & Longest gondola in the world” From Gulmarg to Khilanmarg. Evening return to hotel. In the morning visit Shankaracharya Temple and half day tour of world famous Mughal Gardens visiting Chasmasahi, Nishat Bagh (The Garden of Pleasure), Tulip garden, Shalimar bagh (Abode of Love), Hazratbal Mosque, return back to hotel. Evening free for marketing.